Isaac Lester, Jr., aka “Ike” was born in Waterbury, CT. His flair for the artistic was noticed early and often at school and home. When Ike was eleven years old he entered a contest sponsored by the local mall. 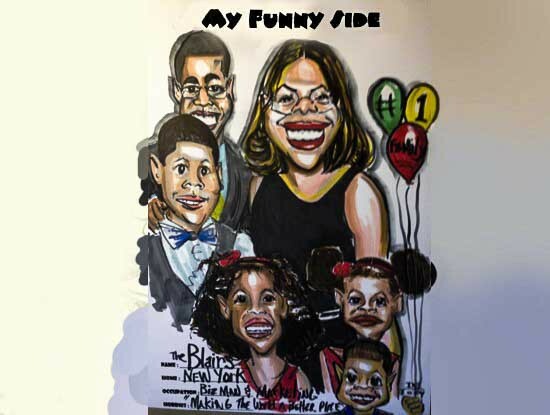 He won by drawing caricatures of Dr. Martin Luther King, Robert F. Kennedy and Adam Clayton Powell, Jr.. Of course, Ike’s family was very proud of him. During high school Ike studied fine and commercial art and went to college including Kentucky State University and North Texas State University, continuing to study and improve as an artist. He worked on the campus newspaper and yearbook staff at school and made layout and editorial contributions. Once Ike finished school he worked as an illustrator and graphics artist in advertising agencies and art studios. In one area he made a national name for himself by drawing caricatures for Schenely Distributors a national liquor distributor company through local distributors. Ike promoted their Dewar’s brand scotch with the “Dewar’s Caricature Profile”. These were funny caricature renderings of patrons who drank Dewar’s scotch and other brands under their umbrella. This promotion occurred at various restaurants and bars using the Dewar’s logo crest displayed on the drawing paper. Being part of the Dewar’s Profile Team, Ike caricatured many famous people during this time. Dewar’s also sent him around the country and abroad as a part of this promotion. 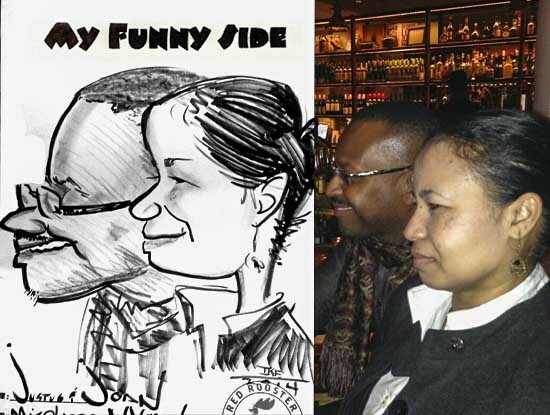 Ike had the opportunity to meet many people and develop his caricature skills through this venue. He is always attempting a new medium for his work.